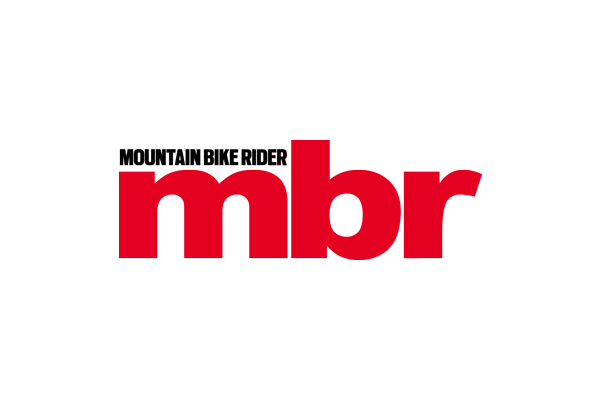 The latest issue of MBR is out now, packed full of inspiring ideas and routes to help you find new places to get out and ride. On the cover: Danny straddles the Megatower in South Africa. Photograph by Gary Perkin. Hands down the most important bike test of the year, our guide to which bike to buy if you’re into trail riding… which is pretty much all of us. 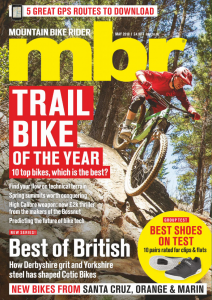 We’ve tested the best ten full suspension bikes across both wheel sizes and two pricepoints to find our favourite bike of 2019. Don’t buy a new one until you’ve perused these pages. Here in the UK we might not boast too many mountains, but there is a preponderance of first class mountain bikes designed and built in the UK. Yes this small corner of the world accounts for some of the best bikes in the world, pushing forward design, material science and suspension performance. So we head to the Hope Valley and Cotic Cycles to start our new series to try and find out what makes British bikes so good. The Megatower is Santa Cruz’s latest new bike, and one we’ve all been waiting years for — a long travel 29er with modern geometry and a trail-crushing attitude. We also ride the most up to date version of the iconic Orange Five, try Calibre’s new budget busting £2k enduro bike with 29er wheels and the Marin Mount Vision with probably the cleverest suspension out there. Benji tries the Vitus Sentier 27 VRS hardtail with 2.8in wheels and mixed results, Ben tries to compete on his Nukeproof Mega in an XC race with very mixed results and PB tries to ride his Fantic e-bike and funky battery with no results. Plus updates on the GT Sensor, Rocky Mountain Altitude, and YT Capra. We test the stonkingly good value SRAM NX Eagle drivetrain, Drift ghost-X POV camera, Scott Trail jacket, Look X-Track carbon pedals and loads more. We’ve split this test neatly in half, reviewing both clipless and flat pedal shoes, from the likes of Five Ten, Adidas, Pearl Izumi, Speaialized, Ion, Giro, Shimano, and O’Neal. If you’re helping a friend to get into riding you’ll want to teach them how to ride their bike properly — Andy Barlow from Dirt School shows us how to get the skills to teach by. Plus keep your mind and body supple with yoga for mountain bikers. Making technical sections look easy and keeping your speed round in a series of corners and obstacles is all about finding your flow, says Andy from Dirt School — he shows newbie rider Laura Bailey how to get confident and let the bike flow. Buzz: New bikes form Evil and Forbidden, new gear from BikeStow, Louri, TF Tuned and more, plus inspiration on where to ride, what to wear, how to get started and improving your skills. Mailbox: It’s time to take out the trash, says one reader, who calls for an end to littering on our trails.